The Assassin kit is about 50 bucks. I don't usually recommend a flying wing for beginning pilots but then again I do know people that have taught themselves how to fly with one. The Assassin is tough and can take punishment like no other plane that I know of. Thats great and all, but I need cheap..... So that intractable I found was pretty intriguing, sure its not made to crash. I have flown helicopters before and I did a scratch build of a Quad copter (more like a hover craft lol). 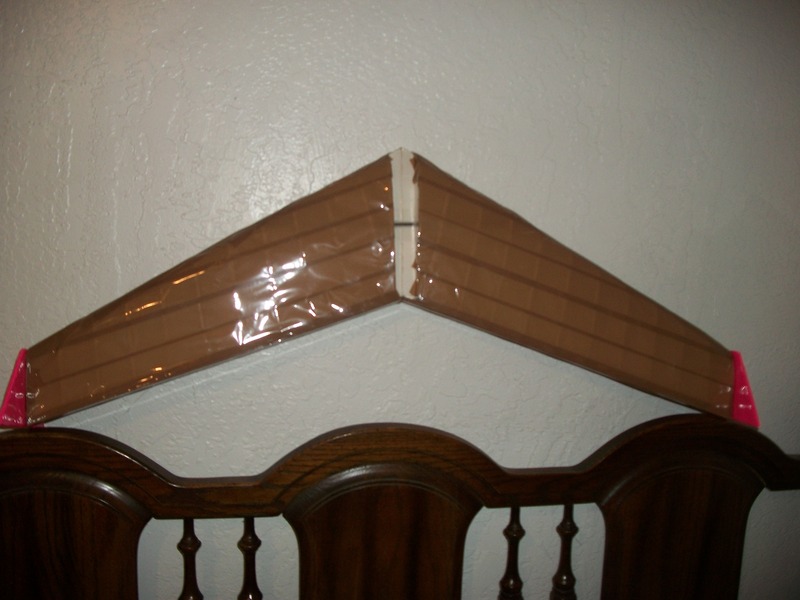 I should have something similar by this weekend, I'm not going to use duct tape, I'll most likely use brown packing tape, its lighter and cheaper to buy. it costs me about 3 to 5 dollars to make the Wing every time. With a few mods to the original design I'm now able to easily inter change the middle compartment which store batteries, servos, ESC, and reviver. Wanna build it yourself? No heartburn from me, I hope you document the build and do an article. Check out this design that one of the guys here has done, if cheap is your goal, I don't think you can do it much cheaper than what Shraut has done here. It won't be as tough as an Assassin, but stick some metal gear servos in there and it should be fairly crash resistant. Oh, do I ever have just what you are looking for Jwflammer! First, I do own an Assassin from crashtesthobby. Be careful of listening to jetpackninja - he sings a very compelling siren song about the Assassin. I listened to him and now I am an addict. The Assassin is a fantastic flying wing since it really is virtually indestructible! It is so intuitive to fly, but I wouldn't recommend it as a trainer. If a pilot does not have experience handling the sticks, it would be a very frustrating experience trying to chase it. Hard to explain, but if you feel you are getting out of control, the worst thing to do is try to counter it without a smooth finesse. Its like over-correcting a fish-tailing car. I call it the dreaded "oscillation." I was having the "learn to fly on a wing" discussion with my flying bud at the school where I teach just this afternoon. We both agree that the right flying wing could be the best beginner airplane. The Assassin isn't the best for this, but we are discussing a scratchbuild that could be that perfect plane. But, none of this is what you asked. Since I didn't have any opponents for my Assassin, I built a flying wing for the other teacher who flies RC at school. I used 1" blue foam sheathing insulation purchased from Lowes. I used a Dremel with a scroll bit and bell to "hand held" CNC the airfoil shape. Then I hand sanded the heck out of it to shape. I've attached a pic of his wing next to my Assassin. He has since painted it and it looks freakin' amazing! I have to say, his wing is easier to fly than the Assassin. The wingspan is the same, but it has a bit more sweep, less chord and is thinner than the Assassin. The airfoil shape is a Clark Y with a bit of reflex. The max thickness is at 25% chord. Yesterday, I made a different airfoil profile template (based on what seemed right to me) and hot wired a wing for a student within about an hour. This one has even more sweep and a fancier airfoil. I added a few degrees of washout, as well. I'll get pics tomorrow. I have a feeling this one is really going to be a joy to fly. Bottom line - buy a sheet of 1" blue foam ($15) and make a bunch of wings! If you don't have a hot wire cutter, all it takes is some elbow grease and sandpaper. I'll try to pull together a build video within the next few days. So easy to do! Yep both earthsciteach and jetpackninja have it right, DIY is the name of the game! Both of you are right on topic. What I have done so far, is a foam board tear drop rib design, with packing tape Instead of duct tape like in the tutorial I first mentioned. 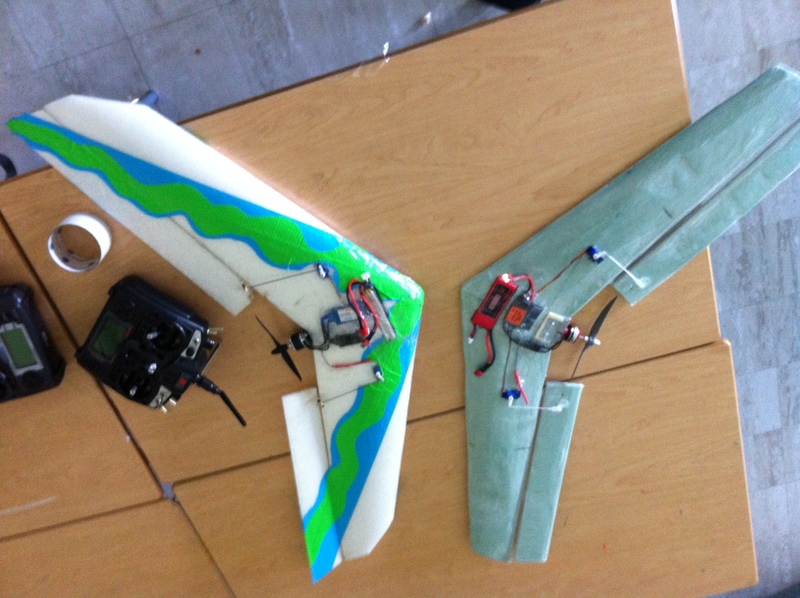 I should have it all the way done by tomorrow, Ill test fly it Saturday and keep this topic updated on my results.